This month marks the first of a series of monthly reviews by the Dagogo “Beatnik” Jack Roberts on high-end, minimonitors. The first to be featured is Teresonic’s latest Magus. This series is sure to make many readers’ heart pump faster, mine included, because we have sent Jack many of today’s best designs to listen to. By the time we approach next spring, we will know which one is Jack’s most beloved design. -Ed. 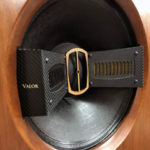 The Teresonic Magus speakers are strikingly beautiful, stand-mounted, single driver monitors that utilize a Lowther-Voigt DX-55 driver in an oval, sculpted wooden enclosure. The matching stands are also very attractive and work well sonically. 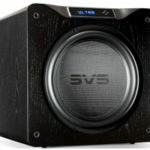 The finish of the 15-inch tall, multi-chambered, curved enclosure is furniture grade and liked by everyone that came in, and most people commented on their good looks. It amazes me that a speaker this small could be 98dB efficient, but upon use there was no doubt they were every bit that efficient. They were obviously more efficient than my 95dB efficient Ikonoklast Model 3’s. The Magus come well packaged for shipping. The stands work wonderfully well and are easily assembled. 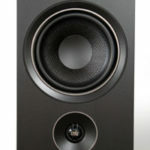 They are also well designed to help you get the most out of the speakers sonically. The adjustable shelf that is under the speaker is ingenuous, more details on this latter. I used the Magus in both my upstairs system and my reference system downstairs. Upstairs, I used them with the Roksan Caspian integrated amp and downstairs with the Wavac EC-300B. Upstairs, I used them with the Oppo DVD player as the source as well as a DirecTV box. Downstairs I used them to listen to vinyl. I used them with both the Auditorium 23 speaker wire and Teresonic’s own fine speaker wire. In both rooms they sounded best in setup close to the rear wall and about three feet from the side walls. You can fine tune the bass to the room by moving the adjustable shelve up and down till you get the quickest, tightest bass, or you can even get a slightly warmer bass like the old BBC LS3.5’s. This feature make placement much easier. According to Teresonic’s literature, Magus is the Latin word for “Magical”, and it’s their intention to bring the magical sound and acceptance that was the BBC LS3/5 to a high-efficiency small monitor. By the way the Magus is ten times more efficient than the BBC LS3/5’s. It has been my privilege to have both the Teresonic Magus and the GamuT L3’s in for review at the same time. They are both great speakers, but with very different design goals. The GamuT design is for the deadest cabinet possible. They are heavy, well braced, damped, and easily pass the knuckle test; when you rap your knuckles on the GamuT’s you just get a dull thud. The GamuT’s and the Teresonic’s both have no 90-degree angles, but the Teresonic’s cabinets are designed like violins or cellos. It is bent and curved; it has chambers and damping so that it resonates, vibrates, and moves air at different frequencies. These two different design techniques produce very different sounding speakers. ‘Conventional Wisdom’ says the deader the cabinet the more uncolored the sound, but my experience with the Audio Note’s, the Shindo’s, and the Teresonic’s tell me that both methods are very valid. It seems to me that it is the execution and not the design that makes the real difference. When I started reviewing for Dagogo, Constantine asked me what I would like to review, and the first thing I said was a speaker that uses a Lowther driver. It seemed that every time we had one lined up, something fell through. I was both excited and disappointed when the Magus arrived. I was thrill to finally have a speaker in to review that used the Lowther, but at the same time I was disappointed that my first Lowther’s would be such a small speaker cabinet. Well I shouldn’t have been disappointed it was just that I had no idea you could get this kind of dynamics, scale, life and transparency out of such a small speaker. The Magus was a Lowther to its soul with all of its tunefulness and lack of crossover distortion, they are so good at making music that it is amazing. They get the essentials right. The sound defies their size by many times. They have a sound as big and dynamic as the Audio Note E’s while being much more transparent. In fact, they are every bit as transparent and dynamic as my Ikonoklast Model 3’s, but the Magus will play much louder. I should note that, of course, they do not go as deep as either the Audio Note or the Ikonoklast. Well, I’m getting way ahead of myself so let me stop and go back to the start. Lowther drivers are legendary or you could say notorious for how long they take to break in. Thankfully, they came to me with a couple of hundred hours on them. Still, at first they sounded a little bright and thin; they also had a good bit of that Lowther shout. After another two to three hundred hours though, the shout had all but disappeared and they no longer sounded thin or bright at all. In all honesty, the Magus did not change as much or sound as bad during break in as my Audio Note E’s did. Yet, they did continue to improve slightly even after six hundred plus hours. Transparent, immediate, dynamic, and alive are the words that describe the Magus’ midrange. It doesn’t matter if we are talking about the Quad ESL 57, the Ikonoklast Model 3 or the Auditorium 23 SoloVox speakers; I find speakers with no crossovers seem to share this sound in the midrange. 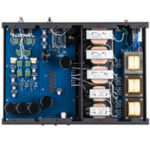 It is interesting to me that even though the Quad ESL 57 is a low-efficiency electrostat, and the Ikonoklast is a high efficiency speaker with a conventional, though very low-mass, midrange/bass driver with a “Walsh” type tweeter, and the Magus and SoloVox are single-driver very high efficiency speakers; all of them share this midrange sound. I have to admit one other speaker that shares this midrange is the Shindo and it is a two way horn with a crossover, how does he do it? There are significant differences though between these speakers in the midrange. The Quad ESL 57 and the Ikonoklast are both slightly more detailed, have slightly better micro-dynamics, and are more refined-sounding then either of the single-driver speakers. In contrast, the single-driver speakers and especially the Magus have a raw liveliness to it that was absolutely intoxicating. The Magus are beautifully detailed speakers comparing here with speakers like the Quad 57’s and the unbelievably transparent and detailed Audio Note’s. The Magus are very articulate speakers. When I used them upstairs they were used a lot for TV and movies and the voices were very realistic and easy to understand. Voices in music sounded very alive, too. They sounded very articulate, but natural at the same time. When listening to Alison Krauss, the Magus’ ability to recreate the harmony and the interplay of the voices was just incredible. When I listened to the wonderful 45-rpm Patricia Barber recordings, I was astonished how alive a recorded voice could sound. With live recordings, such as Peter, Paul, and Mary at Carnegie Hall, you may not hear quite as much of the air around the coughs, whispers, and giggles, but you hear a very real sounding recording. This aliveness is really intoxicating. 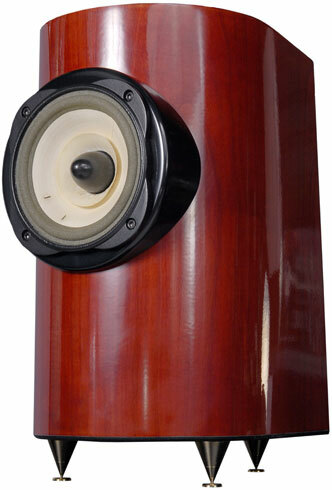 Pianos, like most instruments benefit from the coherency of this speaker. They sound oh-so-engaging. It is so easy to hear both the attack, and the decay for an appropriate time. You can hear both brushes and sticks as they come in contact with cymbals and drums very clearly; they sound correct and beautiful. You will find the Magus bass-shy if the speaker is pulled too far out into the room. Positioned correctly, the bass is very natural and quite satisfying. I don’t think I ever thought I was missing the bass of live music. But let’s be honest, Lowther’s don’t have a lot of deep bass. I’ve never heard a Lowther application that went really deep. Yet, they can be so dramatic, so alive and so much fun! I find the bass enough to be satisfying, and I would not add a sub, but some would. What they lack in quantity though they make up for in quality. The bass is quick, tight, and carries a great beat. The truth is that the bass is the best I’ve ever heard from a speaker this size. I loved the way it sounded on an upright bass, as well as drums. When listening to the Magus, I never thought about the treble one way or the other, which is quite a compliment. I say that referring to the speaker after they broke in. They were bright for the first few hundred hours, but not in the end; at least I don’t think the brightness came from the top-end anyway. I should not say by comparison that the treble isn’t as airy or as silky as my Ikonoklast, but I repeat — I only noticed this when I ask myself to listen for it, not ever when I was enjoying the music. The speaker has real presence and has great sparkle. It may miss a little air in the top, but the midrange has so much great air and space that I can’t imagine this ever keeping the speakers from sounding like music. The Teresonic Magus has the kind of soundstage I feel is more like a real musical event. They have a whole complete soundstage. Maybe not the kind that makes you say, “hey did you hear that horn, it’s way back there, what about the triangles, they sound like they are over on the stairs”; no, but they do give you a wide and deep soundstage. The speakers totally are not there, just a real acoustic space with air, body, and space. The speakers are so alive and immediate-sounding that the questions of imaging and soundstaging just don’t seem so important. The reason I say this is not because they lack in these areas, but that they do not so depend on soundstage and imagining to sound real. I think often times soundstaging and imaging give us the sense of visual clues that help us feel more like we are watching and listening to a performance. The Magus give us these clues as well, but they do not depend on them; in fact they sound just as real on a great mono recording as they do with stereo recordings. Is what’s more important to me than soundstage and imaging. The Magus has incredible scale for any speaker, let alone one so small. They have a wonderful way of allowing you to experience a completely natural sense of scale. No better example could be had of this than the beautifully recorded and preformed Music for Organ Brass and Timpani. The way the organ surrounds and towers over the brass instrument and drums is just breathtaking. One of the remarkable things about the Teresonic Magus’ speakers was how wonderful they sounded with different amps and sources. I started by using them upstairs in a completely transistor and digital system. While the Magus are plenty good enough for downstairs; I want to tell you they produced the best sound I have ever heard from a Roksan integrated and the Oppo DVD player. The truth is I am glad I got to hear this combination before I finished the review of the Roksan Caspian M-Series-1 integrated amp. It was delightful to hear how wonderfully tuneful this combo can be. I wish I could afford or justify buying them for my upstairs system. They are incredible for music, TV, and movies. Their diction was incredible. Another thing this combination has in spades is P R a T. The combo is actually as good if not better than my reference system in regard to Pace, Rhythm, and Timing. The combo is as good as any Naim/Linn system I have ever heard. Downstairs with the Wavac EC300B, Shindo Masseto preamp and vinyl, they were incredible. They also had that great P R a T, a wonderful soundstage, and that all-so-important ability to sound like music. As good as they were with the Roksan; the Wavac allowed them to breath and bloom. I want you to hear me say they are capable of letting you hear what is so incredible about the Wavac EC300B and Shindo Masseto. I also listen to them with a couple of inexpensive chip-based amps. The Teresonic’s are fun with these little amps, but they are too revealing to use with them, but I know how great they are with the Roksan and I bet they would be great with Naim or Creek amps. I had in the house at the same time my Ikonoklast model 3’s, and the wonderful GamuT L3’s. The Ikonoklast and the Teresonic Magus are of the same price and they have a very similar tonal balance. They are a little less warm than the Audio Note E’s, and a little warmer than the Auditorium 23 Solovox speakers. Both the Magus and Ikonoklast are crossover-less designs, but the Ikonoklast uses two drivers instead of a single driver. The Magus is just as quick and maybe even more immediate and transparent. The Ikonoklast model 3’s go a good bit deeper and the top-end has much more air. The Magus, though, will play much louder and has an wonderful raw realness to their sound. The Ikonoklast let you hear more inner detail and are a little more refinded sounding, but the Magus are more forgiving of transistors and digital. These speakers sound more alike than different, and they both have that very special ability to sound like real music with the right source. The GamuT L3’s cost 50% more, but make an interesting contrast. The GamuT really needs transistors and power to come alive; they have a more refined sound, and a wider and deeper soundstage. To me, the GamuT’s are what I think people mean when they say speaker is musical in a positive way. By contrast, the Magus are a great example of what I mean when I say a speaker can sometimes sound like real music. The Magus wins hands down in the areas of Pace, Rhythm, and Timing. The choice between these two speakers will be based on one’s taste in audio systems. I think most people would like one of the other, because they are both superb examples of achieving their different design goals. I’ve spent a lot of time in this review saying some speakers sound musical, some other impressive and spectacular, and yet some casting a huge three-dimensional soundstage, but very few ever sound like real live music. The Teresonic Magus can do this with the right source. These speakers are the real thing, and at least they bring you as close to the real thing as any small speaker I have ever heard, and closer than most large speakers. I think at first you will find it hard to believe how good they sound, and then you will just relax and your emotions will overcome you with how great the music sounds.